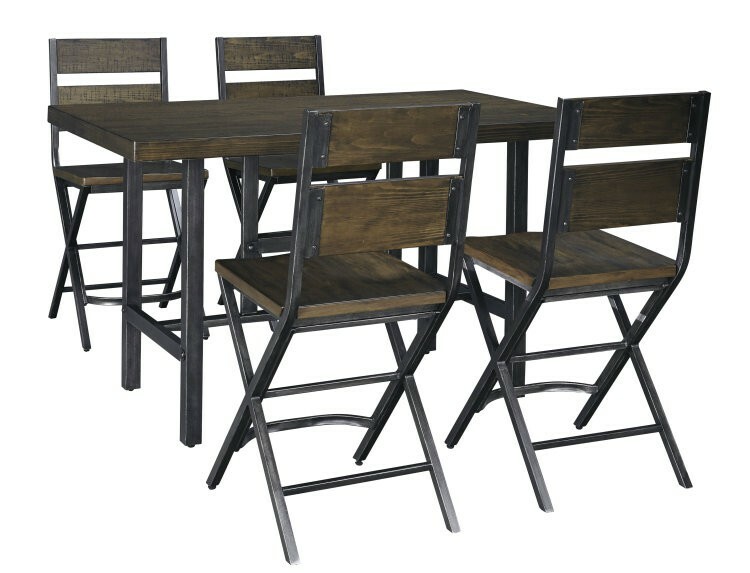 Ashley&apos;s Kavara counter height 5-piece dinette from Carolina Furniture elevates the industrial-chic style with the look of reclaimed wood. It might look naturally weatherworn, but the replicated design provides the strength and durability of modern materials. Smaller scale is ideally suited for high-style homes that are short on space. 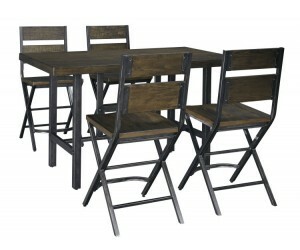 Made with select pine veneers and hardwood solids in a medium brown reclaimed look finish with saw kerf detailing. 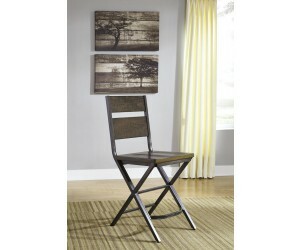 Metal and wood combination with crisscross leg design with shaped foot rest. 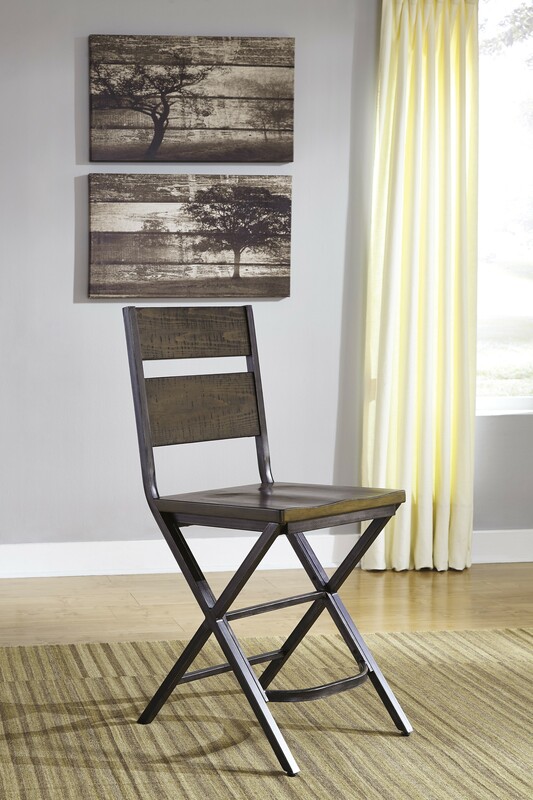 Wood chair seat and bench design has seat scoop for comfort and wide slat ladder back look. Tables have square stock legs with detailed stretcher. Metal finished in a dark metallic toned brush effect with some nail head detailing.